The limited version of Soranik SP3, the SP3 LTD comes with new housing finish and a Satin Audio Chimera cable. 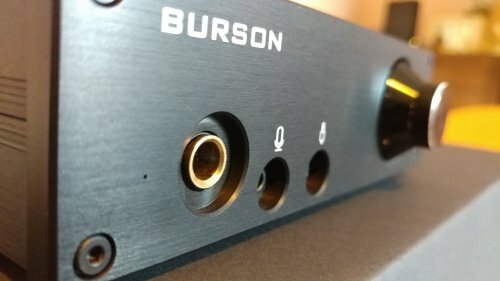 First of all, I want to say thank´s to Charles at Burson Audio, as he gave me the opportunity to do this listening test with their headphone amp; Fun! My first impression when unwrapping the box, is that the amp are quite well packed in the original retail black box, with some white foam and also a thick rubber foam surrounding it. At the side of it, there are two boxes; one containing the power adapter and the other contains a 2,5 mm Hex-key to be used when opening the lid of the amp, a power cable for the power adapter, a small gold plated resistor or capacitor for surface mounting (that I have not yet know the purpose for) and an short RCA-cable from Pailicc of a much better grade than usually includes with most other equipment, especially the connector´s! Most other manufacturer´s tend to include those familiar and very thin "licorice laces", that either get´s placed among all other scrap cabel´s in a box on the shelf of being throwed away immediately! Those Pailicc´s can be used withoud any bad conscience. This amp are also equipped with a new developed power stage, using no transformer for maximum power and minimal noise. There are three available options of the Fun; the Basic model that I´m gonna test are the cheapest, implementing a pair of NE5543 Opamp´s. The other options is get with Burson´s quite new and well regarded V6 Vivid or V6 Classic discrete Opamp´s. What I first realized, was the lack of grounding as the amp´s power adapter are ungrounded. Also, there amp has no 100 Ohm resistor between the enclosure and the signal path´s ground (that many other amp´s have to avoid any EMI/EMR to reach the signal and bring noise to the sound). But they are not alone with this solution, as many manufacturer´s do the same, and honestly, I´m not sure how much this grounding filter solutions will do for the sound. 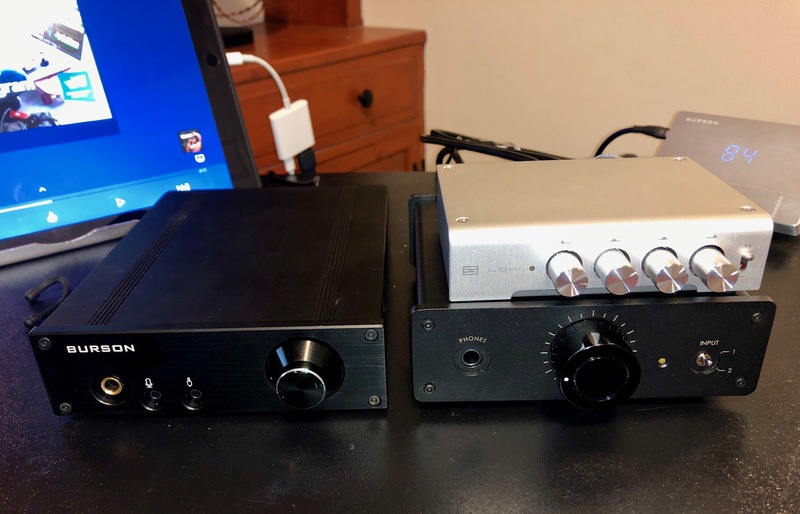 I did a A/B comparison test against my own assembled DIY headphone amp, that are using V6 Vivid dual, a Dale 24 stepped volume attenuator and Mundorf/Russian Teflon´s (as it´s built by me, it´s not easy to tell a retail price for it, but similar models will cost about four times the Fun Basic). For the source, I used a Cambridge CD192 CD-player that has two analog RCA-out, with upsamling module and modded with THS4032 OpAmp´s (had a retail price new about $1400) and listened to both my Sennheiser HD595 and HD800. After I calibrated the volume to a similar level for the amp´s, I used my DIY A/B-testing unit to switch between them, as the unit that gonna compare, should not be connected to the Fun´s pre-out, otherwise the sound will be limited by the Fun (or vice versa, if connecting the Fun to the other amp). Each amp must be directly connected to the source, and the A/B-tester will to this without the need to connecting and disconnecting each time. The first thing I noticed when listening to the Fun, whas that I must admit there were many similarities between the two amp´s, but what I rather quickly distinguished, was the rolled off treble for the Fun, as there were much more open sound from my DIY-amp, the sound from the Fun was much more veiled. The bass was quite good, and the mid also mostly nice, but no up the grade the DIY-amp, that had a more open and well defined sound. Of course, it´s not really fair to compare the Fun against an amp with Burson´s own V6; their latest generation of discrete Opamp´s, altough both amp´s consists of part´s at a really high grade! But having in mind this Fun are the Basic version, with a pair of NE5543 Opamp´s, I must nevertheless admit the sound are quite good compairing to the rival´s, for the price and size of the amp! So, if Charles decides to provide me with a pair of V6 single´s to test with the Fun, I think there will be a much more interesting battle between those two amp´s, and I promise I will then be back and continue the review with my thought´s! Ability to fit in your PC. Gamers take note...this is good. Cons - Plain black box? Burson Fun-Act One: Basic-$299usd. 5-year warranty. 4.25 stars, if I could. *Burson had previously sent me the Play on tour. They contacted me to see if I was interested in the Fun, followed by the Bang. I said, “well of COURSE! !” I will provide an open honest review, to the best of my abilities, without reservation. Both parties involved would have it no other way. Period. Coming in the same sized matte black box as the Play (I certainly do not mind utilizing the same packaging to save costs and space…), you are met with an outline of the Fun (via sticker), complete with front, back image and which option you have. A few specs are listed as well. Since none of the boxes regarding version were highlighted in red, I assume this is the basic, which retails for $299. None the matter, as I can OpAmp roll using those from the Play. Opening from the front, you are met with two long rectangular boxes bordering the outside, which open as the lid, from the front. Directly in the middle, beneath ¼” soft foam and cradled in a ¾”-1” rigid foam frame lies the Fun. Just the same as the other Burson models of this line. Underneath is the same soft foam, so the Fun is completely protected. In one long box is the power unit. In the other is the power cord as well as connecting 2 single RCA cables as well as Allen key, warranty card 3.5mm-6.3mm adaptor. That’s it. Basic indeed, but I do not mind. It is the listening, which counts. 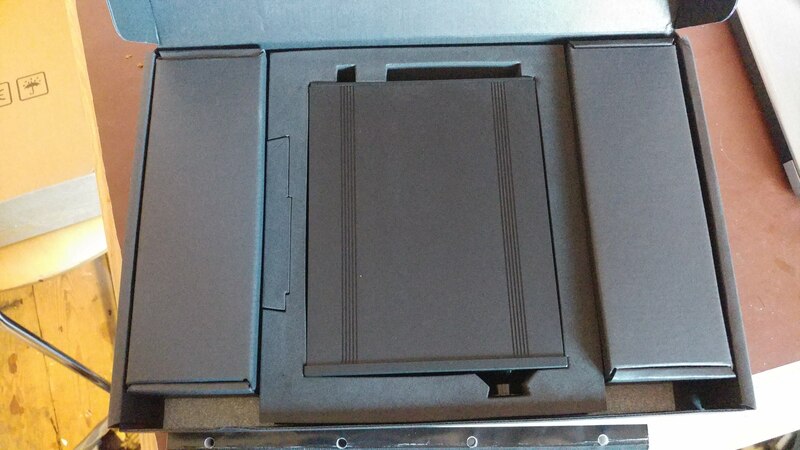 Again, following the same format as the other critters in the foray, you get a black rectangular box. Four Allen screws on the front, the same volume knob (in the same place), a 3.5mm input jack to the left. Left of that is the microphone jack, while left of that you have a dedicated 6.3mm jack. A small blue LED is at the most port position, denoting that the unit is on. Unlike the Play, there is not analog readout for volume, only the turn of the knob, with a smaller yet white dot denoting position. Simple straightforward and to the point. This isn’t meant to be a boutique piece no; the merits are in the sound. With discreet circuitry (a Fun read in and of itself, haha) there is no crossover distortion or feedback. Not noticeable on the outside, much like the look; but it is what’s inside that counts. OpAmp rolling is quick and easy with the included Allen Key. I listened to the included Basic OpAmp’s as well as the Vivid’s from my Burson Play. I prefer the warmer signature of the Vivid to the Classic, but the Basic (NE5543 X 2) sounded near-neutral and just fine. YMMV. 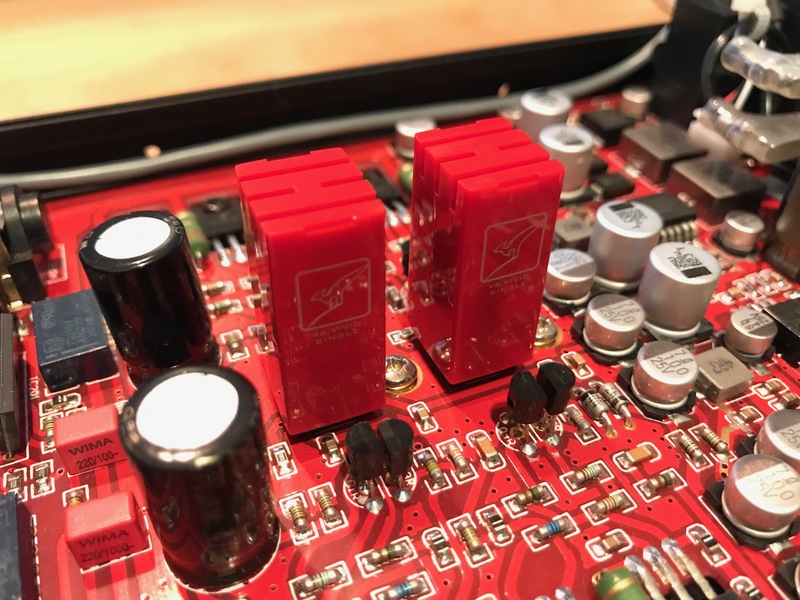 As a desktop amp, the ease of changing the OpAmps cannot be underestimated. Throw in the Bang, and you can essentially get a good set of combinations with which to play. As @Wiljen mentioned in his review, you are more dependent upon the DAC you use for the sound as the Fun itself. Therefore (to me) if you scale up too much, you really are not adding anything (and could detract in fact) from the sound signature presented. In other words, it simply is not worth it for me to hook up my Questyle QP2R to the Fun, other than to add power. And I would be losing some quality in the making. This certainly is not a snub or shot at Burson, no. 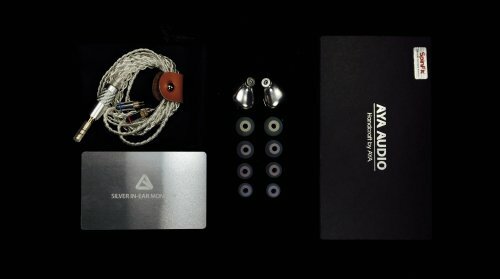 It is simply that hooking a $300 headphone amp to a $1300 DAP can be done, but do not expect anything above the sound of the DAP except volume. The Fun is quite adequate at providing that power as well. While the original source signature can show itself through the Fun, you realize what the limits are. Through the Aune M1s, the additional power is welcomed, and can show the warmth of the M1s quite nicely. I would say that this is a good match, as it can provide the added power, with a bit more oomph down low. Especially when I ran the Atlas through it. Or the Cascade for that matter. Quite nice. Tidal Premium through my MacBook Pro and the Fun (using headphone jack into split RCA cables), the sound in the Ether-C Flow is definitive and additive. The Fun does indeed provide the necessary power to drive the Flow to voluminous levels of hurt. Want more warmth? Throw in the Vivid OpAmps, sit back and enjoy. I do love the Ether-C Flow, but always welcome a bit more sub-bass. Coldplay’s Up & Up shows well in this set up. Coldplay has a tendency to be a shouty-kind of sound on many songs and this is one of them. But I sift through that to the added power. Giving that extra rumble down low (yes Tidal Premium does that) the Fun drives the Flow well. Switching to the Cascade through the same set up, that bass is back in full force. The Cascade is known as the bass-cannon of headphones in some circles, and it does not disappoint here. Sounding better than straight out of the MBP (one would hope so anyway), that “better” comes straight from the extra amplification of the Fun. So, one could argue that the source sound is the same, but only amplified. That would be correct, but it still sounds a bit better. Not more definitive like the Flow, which is a harder to drive critter, but just more of it. So, I cannot say definitively if the sound is “better,” but only more of it. A harder to drive headphone such as the Ether will benefit more than the Cascade, which is straightforward to drive since it is marketed as a portable. With Motherboard pouring through from Daft Punk (one of my favorite test tracks) on the same set up, the Cascade reminds me of what I love about it. There is just that presence there, which comes through loud and clear. The Fun is not the detail monster of other amps, and it isn’t meant to be. That job is up to the Bang or the Play. No, the Fun provides the engine with which to drive your music. And in that regard, it does a very good job. Follow that up with Song For America from a favorite of mine, Kansas, and you have a pretty good idea of what the Fun can bring to the table. Power, and what I will call “girth” give it very good presence. Details while slightly above average come through with good placement. You do not mistake what sound is where. As such Sound stage is decently wide and tall. A good boxy set up pervades the feeling of a larger hall. Nicely done. As stated above, I preferred the Vivid OpAmp for its warmth, but kept the Basic in most of the time to show what the most economical unit could do. Providing what I would say is on par with other amps at this price range, the Fun has a bit more power than many at this price, providing up to 2 full watts for most easily driven headphones and IEM’s. More than adequate in my book, and good for gaming situations as well, like the Play. What it does not provide is a better DAC. Whatever you have in your source is it. But my thought here is those that would use this in either a desktop headphone amp set up or inside a PC tower for gaming will most likely have a better DAC (either from a DAP) or a better soundcard for gaming purposes. The Fun makes no pretense in providing better sound, only in providing MORE sound. Burson leaves that up to the source, whether it is the Bang or as other reviews here have provided their own DAC’s. And in the end, who doesn’t want more power? This may be a shorter than average review of late, but that is by design. For once I have the Bang inhouse, I will be able to pair the two and get a better sense of their place. I have the Schitt Modi2 Uber and Magni2 for cheaper comparative purposes, and my iFi stack moving up, so that will be a good mix. Don’t take this as a slight of the Fun. No, indeed not. 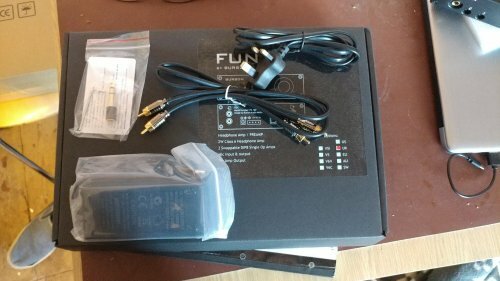 For the Fun is a powerful desktop amp, which fits nicely into my set up. Not the most versatile of options, but easy to hook up with pretty much whatever you would like. Easily hooking a DAP to the front slot, or your laptop/PC/DAP from the RCS cables in back; it simply works. And sometimes that is the best compliment you can earn. This is the true benefit of the Fun. It is affordable, "optionable," PC-able, and small of size with excellent power. I thank Burson for this opportunity, and when the Bang gets to my humble hamlet of a town, there will be an act two. So, we will simply call this act one. DISCLAIMER: Burson sent the fun to me for a honest review. I'm by no means a expert reviewer this is just my opinion of this amp. All done with my ears and moddest gear. PACKAGING: The Burson Fun comes will packaged. In the box you will find the Fun encased in tight fitting foam. You will also find two boxes on each side of the fun. One contains power brick the other a nice set of RCA's,fuse,adaptor and allen wrench. BUILD: I thought the Fun was well constructed with it's all aluminum chassis. The four rubber feet on each corner let's it sit nice and firm on your desk. I really liked the feel of the volume knob with it's Alp's pot. It is very smooth with precise adjustments. SPEC'S: The Fun is a dual mono class A amp. Powered by four sets of max current power supply developed by Burson. Rest of spec's can be found on their web site. SOUND: This little amp packs a punch. It has all the power you would ever need for most headphones. It sound is very clean and dead quite. I thought it was very detailed with great dynamic's. I heard no signs of distortion at higher volumes. The Fun I received had the stock op amps which sounded very good to my ears. Can only imagine what rolling in the Classic or Vivid op amps would bring to the table. I can see why Burson named this amp the Fun very fitting. LOW END: With my headphones the low end is very fast and detailed with great weight and impact. MID'S: The mid's to me were smooth vocals sounded very natural with good mid bass punch. HIGHS: The highs were very very clean and detailed. Never had any fatiguing when listening to this amp for hours. CONCLUSION: For the asking price of the Fun with its power and dynamic sound it's a no brainer for me. It was super easy to set up and get started listening to music. The ability to charge op amps to alter the sound and be mounted in a computer case if that's for you. Over all I thinks this is a great little amp sounds great. Burson Audio Fun.....a Class A amp that "Rocks!" Cons - Some very slight Noise at lower impedances, well out of hearing loudness range. 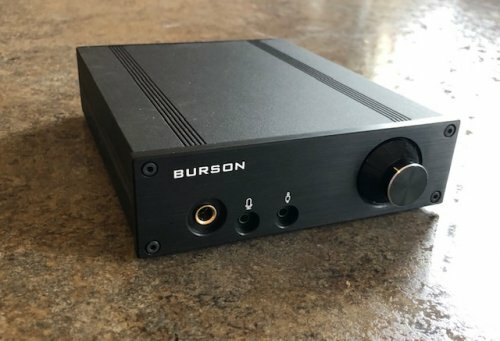 Well I have received from Burson Audio a new headphone amp to me. In the past I have reviewed Burson's Audio Cable + and Pro, and have always liked the Burson products. They seem to build some really well liked and well built headphone amplifiers. For people that like to play and experiment with various op amps to see if there are any differences etc, the FUN amp I just received is the “cats meow” for this type of activity! Imagine a company that is enticing you to open up the device and plug and play to your hearts content and your wallet can stand!. The circuitry is designed to handle a wide variety of op amps, from inexpensive to expensive... They even supply you with an allen wrench and a spare power fuse!. All it takes is 4 small hex head screws to pop off the cover and see the internals! The build quality inside the unit is second to none. I have built and worked in the electronics industry and this is a top of the line amp. The circuit board is well laid out, and there is no BIG unsightly power transformer inside that will ever “hum” or have isolation issues. 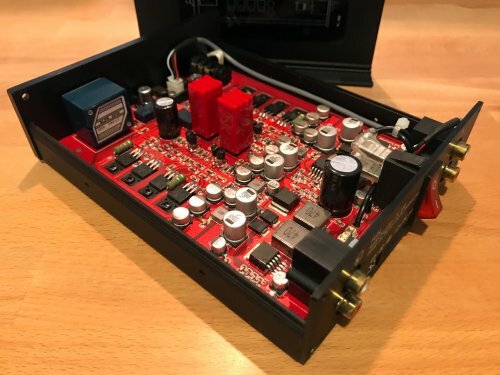 The FUN is a class A headphone amplifier that again encourages Opamp rolling. There is also an added mic input on the front. The Mic input is straight wired to a Mic output in the back for less cable clutter if used in a desktop pc system. For me I use this amp as a headphone amplifier....there is no DAC inside. But the FUN can fit into a PC drive bay and connect to your PC sound card and headphones. For gaming and great audio as well. Instead of the traditional AC power into a transformer then into a bridge rectifier and filtering to remove the AC component etc...Burson designed what they call Burson Max Current Power Supply or (MCPS). The transformer is removed altogether. Burson states that main power at 50-60Hz is within the frequency the human ear can easily discern. A traditional linear power supply charges and discharges 50-60 times a second. They claim this is too slow for audio amplification. Their MCPS increases the working frequency to 179Khz. Any noise at this frequency is well above the human hearing threshold of 20khz. They say this allows for a pitch black soundstage critical for micro-details to shine through. Now this is techno talk from Burson, and I am a real technical geek that always has doubted many if these claims, the end result to me is the proof in the pudding. I will tell you in this review whatever they are doing here has led to a really GOOD amp. Call it what you want, this $299 Class A gem, is very crisp and clean.....pitch black for sure. So there is no need for those LARGE capacitors for AC filtering and hum reduction. This amp puts out 2 watts of power into 32 ohms. A day when size natters, or bigger is better, this little amp throws all that away for sure. So its a 4x Max Current Power Supply, symmetrical dual mono design, Class A, Two DIP8 sockets for op amp rolling, ELNA audio aluminum electrolytics, and Vishay Professional MELF resistors ( with a 1% tolerance and a +/- 50ppm/K). Then volume pot is an ALPS pot with excellent tracking, All this with a 5 yr worldwide warranty. The unit is the same size as a CD/DVD PC Drive that fits into a 5.25” PC drive bay. Its power can come from a 12VDC 5A source from your PC via a Molex connector. If you want to use it as a standlone unit they supply a small external power supply that has a green power led. The backside has two sets of RCA plugs, input and output, this unit can be used as a preamp as well, the preamp output impedance is 25 ohms, and the head amp output impedance is 6 ohms. They supply you with a nice set of RCA cables as well and 6.5mm to 3.5mm socket adapter. Inputs require 2V RMS line level, mic input. The unit weighs approx 2kg. Class A amps run HOT. I have run this FUN amp for hours with 600 ohm Beyerdynamics T1 R2 and the case is slightly warm, there are 4 power transistors for each channel mounted to the bottom chassis assembly. Nothing like some other Class A amps I have built and owned. Not even close to hot to touch. Great design here. The front of the FUN has a nice small bue LED to indicate power on. Its subtle and does not blind you. 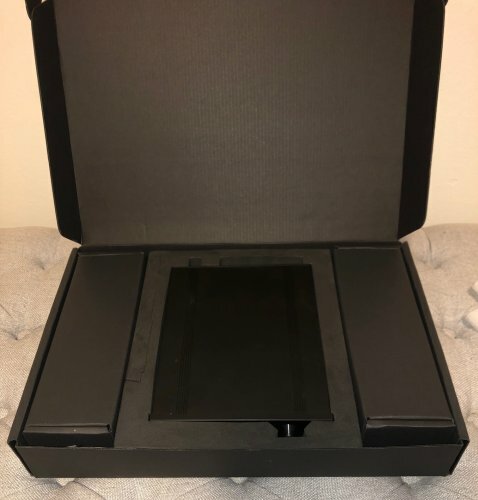 The aluminum case is a matte black finish and it exudes 'professional” to me....very well done, like the SR 71 blackbird finish at the Smithsonian at Dulles Airport! There are four small plastic feet on the bottom. The volume knob is large and fairly easy to turn the ALPS pot...nice and firm feel when rotating it...again exudes good parts and good operation. The unit at the entry price of $299 comes with a pair of NE5543 X 2 op amps. My unit had JRC 5534D's which are in the $10-$15 cost retail. They are a high performance low noise op amp well beyond the old 741's. The amp with my headphones was silent with the volume turned up all the way. With 32 ohms cans I did hear some very slight noise with the volume up at 3pm, way, way beyond any listening. 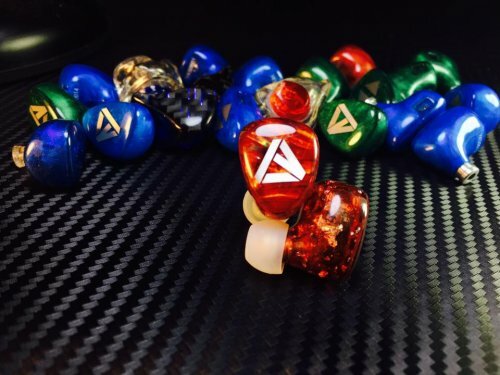 Most listening with 250 ohms or higher are dead silent. The first word, adjective that comes to mind is “clear”, then “transparent”, then “soundstage”, followed by “accurate”, “lifelike”...and all those lesser adjectives...then I kept thinking “how are they doing this?” Its that good / different..the old “I have to listen to all my music again stuff...” The bass extension on headphones like the Audio Technica MSR7's is really mind blowing! The bass is indeed tight and well controlled with all my headphones. 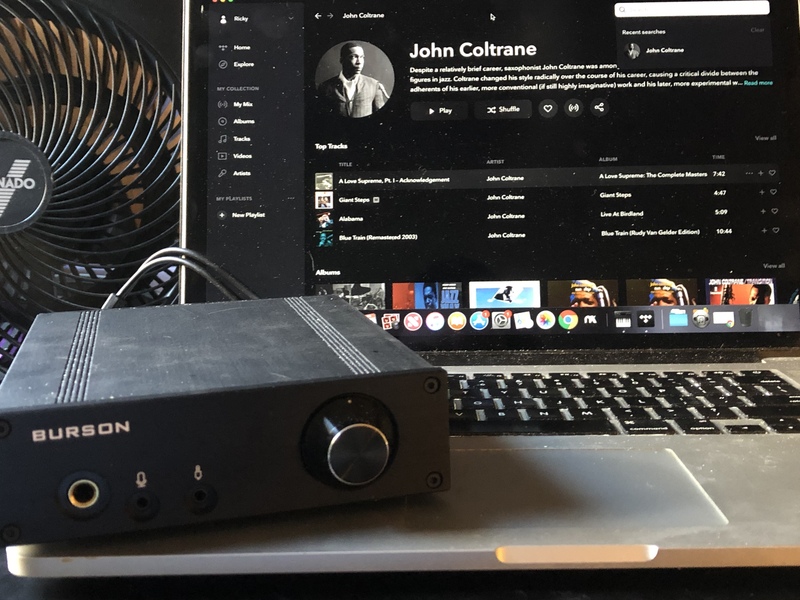 The FUN has no internal DAC, so I am feeding it with a Schitt Bifrost Multibit DAC which I like very much as well....its a wonderful pairing that is making this amp come alive for sure, but there is magic in this little FUN Burson amp! I could go over many of the songs I use to audition headphones and head devices but suffice to say I and hearing new stuff from my old favorites in a very enlightening way. Its like I am there. The tonality of violin strings are lifelike and mesmerizing. The music is effortless, the amp is supplying enough power throughout the frequency range...clear crisp, dynamic, tight......etc. Everything from the remastered Beatles, A Hard Days Night, Eva Cassidy's , Eva by Heart, and on and on are being amplified very well. Whats there in the CD is being heard accurately and musically with my T1's....oh gosh its that nice. Ok the surpy stuff is over....:>) I have not used the mic input or the preamp outs. So I cant comment on them. As a headphone amp, Class A, its the cats meow IMO. I have been listening for three hours now and just dont want to stop listening its that nice....There are a lot of choices in this price range $299. 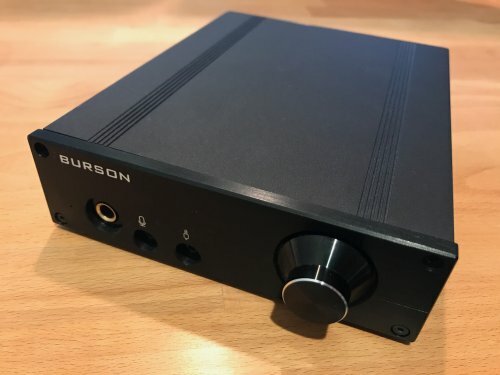 But if your looking for a great Class A amp, that allows you to swap out and roll to your hearts content op amps, like NOS tubes...the Burson FUN should be high on your list. I look forward to rolling in some of Bursons other discrete op amps as well...Its just FUN! NOTE: I got up this morning, cup of coffee in hand, to see if the Burson Fun was still working as well as my first impression...Instant on and instantly the smile appeared on my face...Burson has a winner here! The Burson name is no stranger to folks at Head-Fi. 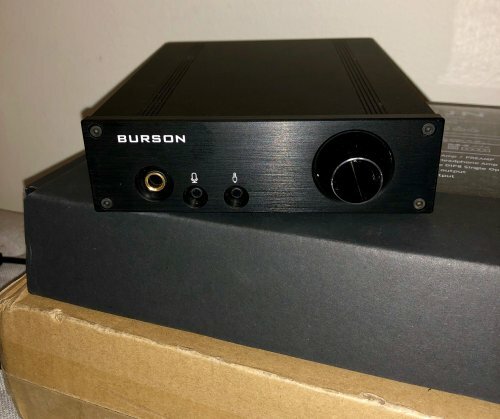 Having said that, I've got to admit that I've never personally really listened to a Burson component at any great length - save for a local audio show where a Soloist variant (or so I hazily recall) was on demo. On deck here is the Fun - a moderately priced headphone amp that can also double as a single source preamp for a nicely compact system. 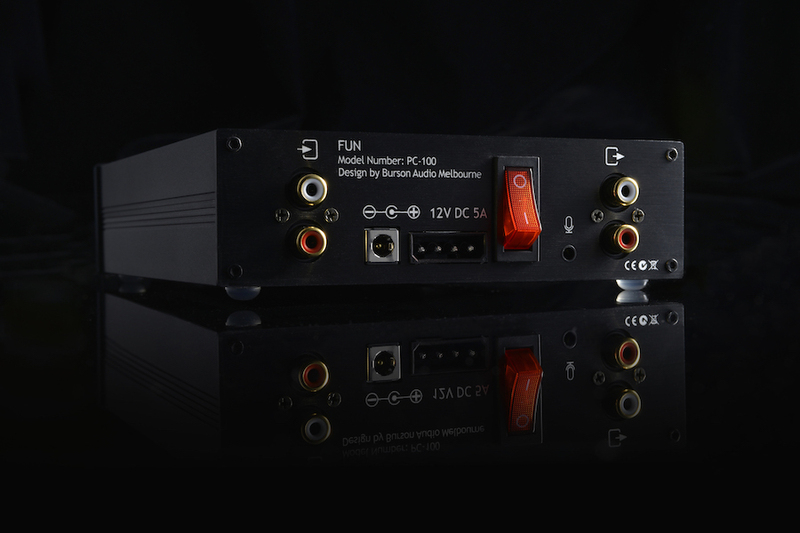 Burson produces a matching amplifier, the Play, to push the electrons through speakers. The design is supremely functional - a decently thick steel case houses the guts while a beefy font panel sports a 1/8" jack for input, 1/4" headphone output, and a sculpted volume knob. A single blue LED tells you when the unit is powered up. The back panel sports two pairs of RCA jacks - one for input, the other for preamp output. There's also a 4 pin Molex inlet as well as standard barrel connector for DC power. The Molex inlet and two pairs of screw holes on either side of the chassis speaks to an interesting feature of the Fun - it can be mounted in a 5 1/4" drive bay in a tower computer. A red rocker switch turns the amp on and off. Using the Fun is straightforward. Hook up the interconnects (make sure you pay attention to the symbols above the jacks to figure out which is input and output), connect the appropriate power connector, and switch the amp on. The volume knob can feel a bit stiff, but it also cuts down on times where you accidentally crank it up. I do have to mention that not one, but two review units malfunctioned during the course of this review. The first review unit pumped out tunes for an entire day and was switched off but left plugged in. About a week later, turning the amp on and expecting music, my ears were instead met with a squealing noise in the left channel and nothing from the right. it was shut off and left untouched for about a week. When turned back on, no sound came from the headphone output, no matter how much I turned the volume knob. 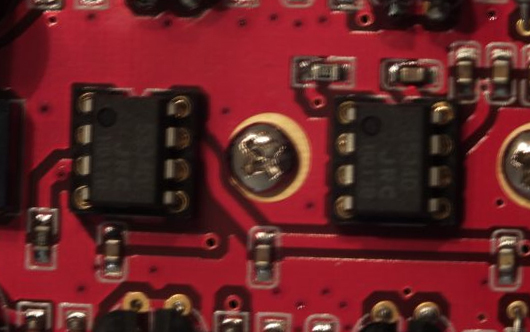 A new PCB was shipped out to replace the faulty one and the amp performed flawlessly thereafter (though I did leave the unit unplugged when not in use as a precaution). Burson has been extremely gracious throughout this process and my experience with their representatives leads me to believe that they will take care of their customers with any issues that may arise. lent a propulsive rhythmic drive to tracks from Florence + the Machine and The National. One little nit to pick was that cymbals seemed to trail off into a gaussian haze rather than retain their shimmer. a tendency to gloss over the inner detail I'm used to hearing on the brass instruments, leaving Coltrane's and Fuller's solos a little flat sounding. The finale to Schumann's Piano Concerto showcased the amp's macrodynamic chops, with the orchestra and piano sounding big and bold but the Fun couldn't quite resolve that last bit of air which lends a sense of space to the recording. Comparing the Fun to my current solid-state reference, the HeadAmp GS-1, the Fun had a decidedly tighter presentation to the bottom octaves, The flip side of that coin was that the bass frequencies on the GS-1 tended to sound weightier, more corporeal. The GS-1 also possessed a sense of refinement that the Fun simply couldn't match - easily retrieving the air around notes, the inner details and ambience that the Fun was struggling to resolve. Overall, the Burson Fun is a competent amp on all the sorts of music that I threw at it. It's not the most natural, organic sounding piece of kit nor does it portray that last iota of fine resolution (spatial or otherwise), but it gets the job done. 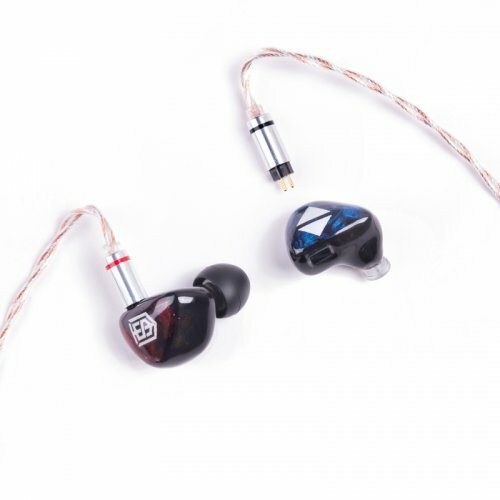 It drives high impedance and low impedance cans to satisfying volume levels - at least for my taste - and is quiet enough for the IEMs that I have on hand, the Etymotic ER4SR. And though I never tested it as a preamp, it's a nice bonus feature that gives it some flexibility in a small setup. The only hesitation I have at this point regard the quality control issues, though Burson's excellent customer service do much to assuage that concern. This amp is so simple and so fun! I am a person who really enjoys equipment (amps and dacs) that are easy to use, simple to set up and just work! In my humble opinion, there are too many amps on the market that offer an immense amount of inputs and outputs, that for people like me who only use them to listen to great headphones, and great music, done honestly need. I really like the simplicity of this amp because it is easy to use, easy to set up and comes with a ton of power for any headphone or desktop speaker! Burson is a company located in Melbourne, Australia, the city my brother's wife is from. Its full of beauty, very much like this little amp. I appreciate that the amp is compact, powerful and looks great. 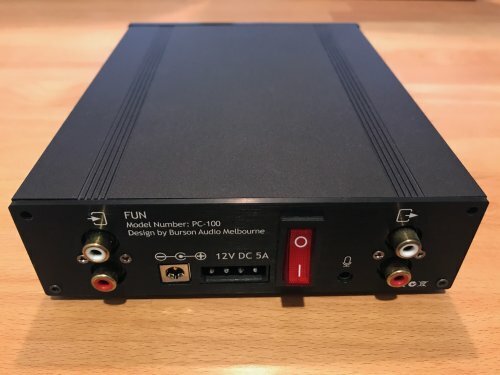 I'm going to review this amp from the perspective of a person who likes to get home, plug in my headphones, USB into my MacBook and listen to music straight away [Aussie phrase ]. The Burson Fun allows me to do with no issues. I will let you read the specs on their website, but for power, it has enough power for any and every headphone imaginable. I used this amp in conjunction with my LH Labs Geek Pulse X Infinity by bypassing its built-in amp so it could just be sent the clean dac sound to be amplified by the Fun. The power is perfect for an at-home set-up for headphones, and speakers alike! Its sound is clean, clean clean. There seems to be no extra warmth added to the sound from this amp, just powerful, dynamic sound to my Audioquest Nighthawks, Sennheiser 6XX and Audeze iSine20. The Fun amp is the type of amp I was looking to pair with my Geek Pulse X Infinity's DAC which is a sublime combination! If you are looking for an amp that won't add color to the sound, just clean, clear amplification, this is a wonderful buy for the base price of $299! This is a perfect addition to any system that needs more power, better amplification, and a sound that is accurate to the way your favorite music should be! I am excited to tinker with the addition of the various other op-amps Burson offers to see how the sound is enhanced with these better quality components. Pros - Very strong output. Looks Great. Nice smooth volume control. Wonderful sound quality. Can be used as a pre-amp. Fits inside PC case if required. Very low noise floor. Cons - Expensive. No remote control (nitpicking). I have been an avid headphone user for many years now. I think it’s fair to say that I’ve got to the point where I would always prefer to listen to music through headphones than loudspeakers. In all fairness, perhaps one of the main reasons for this is because I don’t live alone and my family really don’t share my taste in music. Also, I do like to listen to my music fairly loud - far louder than I would through speakers. Throughout the years I have had an incredible number of headphones and playback devices including various portable Minidisc, portable CD players and MP3 players galore but the key thing is that they were portable. Although I did have a full sized and rather excellent analogue based hifi system, it's been many years since that was my primary listening system. I feel it's only fair to point out that I don't talky consider myself as a headphone snob - I have found myself enjoying some really inexpensive bluetooth headphones costing less than 20 quid. One final piece of information about me is that I now listen to music mostly using my LG V20 phone and a combination of different headphones - many of which are bluetooth. I know, I know. The Flat-Earth brigade are wringing their hands right about now at the mention of using bluetooth headphones but to be honest I feel that they are now good enough for more than simple casual portable listening. Don't get me wrong though. I still do very much appreciate excellent sound quality. Whilst I can honestly say that I will probably never spend thousands of pounds on high end gear (perhaps more because of financial circumstances rather than a complete lack of desire). When I’m sat down at home, listening to music intently, portability and wireless features will always take a back seat to sound quality. Burson very kindly sent me their Fun headphone amplifier to review. Although I have used headphone amplifiers and external DAC’s before, they have always been portable units - with the limitations that all portable units have. 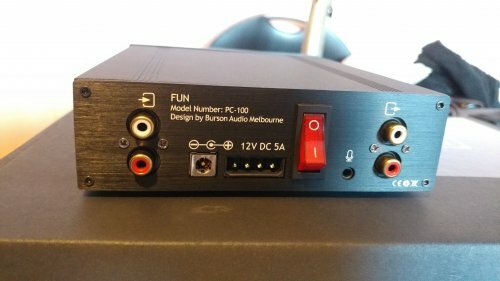 The Fun is the first desktop-based amplifier I have used and wow - what a difference. I won’t go into too much detail about the externals of the unit. Basically this amplifier can act as both a headphone amplifier and pre-amp thanks to its outputs on the back of the unit. This makes it an ideal match for active loudspeakers or systems with power amps. The unit is powered by a fairly small external power supply but is also designed to be inserted into a desktop computer system and can be powered from the PC itself. The Fun supports pass through for microphone input so gamers shouldn’t have any problems. Needless to say the unit is pretty solid and very well made. When powered up, the only real giveaway that the unit is powered on is a small blue LED on the front - you certainly wouldn’t tell the unit was on by just listening through your headphones as there’s no noise floor on the Fun it’s completely and utterly silent - when when using fairly sensitive IEM’s. Needless to say the Fun powered all of them to extremely high levels without running out of steam or even a hint of distortion. Even when listening at low volume levels, the sense of power and scale definitely still comes across - far more so than directly from the LG V20 phone (which has a far more powerful headphone out than what you would find on most mobile phones). Whilst this degree of power is pretty much overkill when using IEM’s, it’s still more than welcome and gives the music a real sense of powerful dynamics and impact. The lack of electronic noise floor really helps when using IEM’s with the amp. Many purists feel that all an amplifier should be is a ‘wire with gain’. They should neither add nor subtract quality from the original signal - simply make it louder. In all fairness, the Fun does offer a degree of colouration to the sound in my opinion - but we are talking about such subtleties that it could simply be a side effect of having all that additional power at your disposal - in no way does it spoil the character of the music. The amp is called Fun for a reason - it’s not pretentious, it hasn’t been made by magic pixies nor has it been breathed on by God. It’s simply a very well designed and made headphone amp/pre-amp which looks good and sounds great. 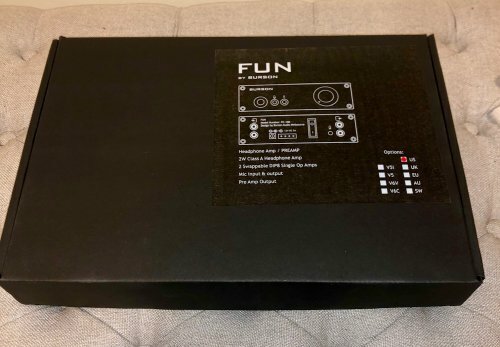 In conclusion I personally feel that the Fun is an excellent headphone amplifier and has definitely brought all my wired headphones to a whole new level of musicality. Thanks for the review. You indicated that the volume knob was "smooth". Does this mean that Burson has moved away from the stepped attenuator on this model? I wasn't a fan of their volume knobs on previous products - though, that's just personal impression and others may not agree. It's an analogue ALPS Blue inside, totally low noise headamp for IEMs actually, you could give it a try. wje, Burson had stepped attenuator inside older headamp, but inside their latest DACs (PLAY, PLAYMATE, SWING) the volume is controlled from inside the DAC chip, like most of 2018-2019 DACs actually (32-bit volume control). 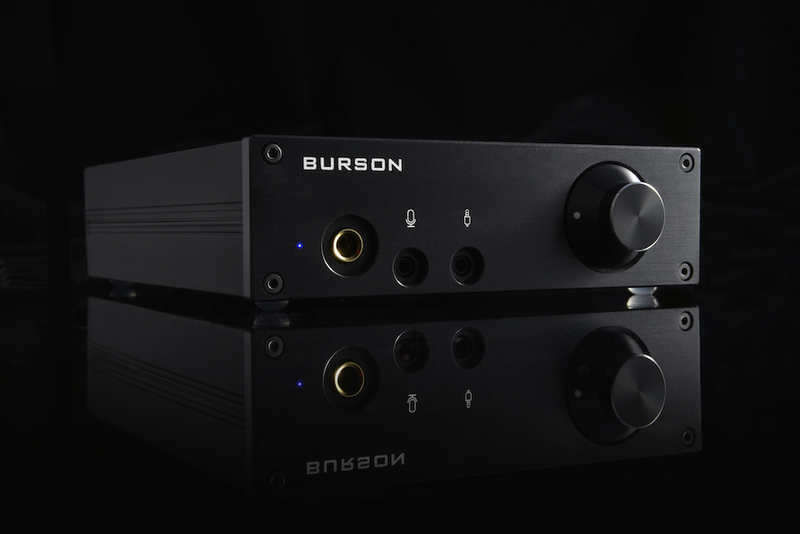 Burson Audio - A Bundle of FUN! So... Burson Audio sent me one of their headphone amps (The FUN) for review a little while ago. It's taken me a bit to get around to writing this (I apologize), so let's jump in. Burson Audio is an Australian based audio company that caters towards the mid to high end headphone amplifier range, providing buyers with pretty great bang for your buck with the different types of sound signatures you can get from opamp rolling, which they encourage. I've been a bit of a fan myself for a while, so keep in mind that I am human, this review is my opinion, and as such, it may differ from your own. This is okay because it's that's variety of differences in this hobby that makes this so interesting and... FUN.. right? Haha. I haven't been in this hobby very long. Since about 2012 to 13-ish, actually. 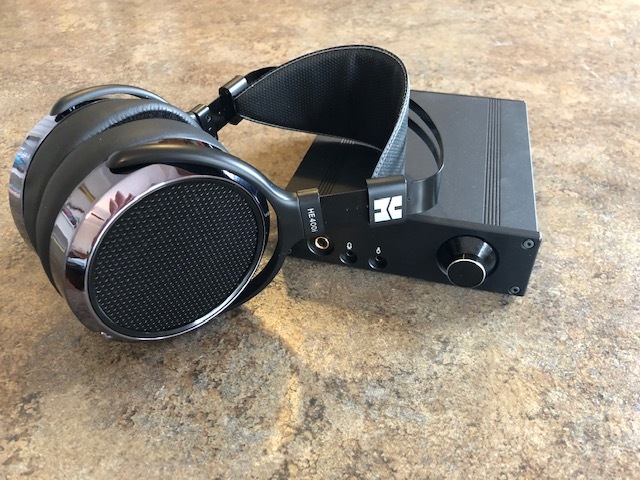 In that time I've been lucky enough to listen to quite a few different headphones from different companies, all with widely varying sound signatures, while I searched for my preferred sound. My preference normally leans towards dark, full bodied, and warm as I am highly sensitive to harsh treble as I perceive it. My music taste runs along the lines of Hip-hop (yeah, yeah), Classic Rock, R&B, Smooth Jazz, and Blues/Soul. While I do love a bit of bass emphasis in my music most of the time, I also like a more neutral sound for smooth, relaxing listening sessions. Now that you have a bit of an idea about me, let's move on. The amplifier came in a simple box, well packaged and protected. Not much else to say here except that I appreciate simple. 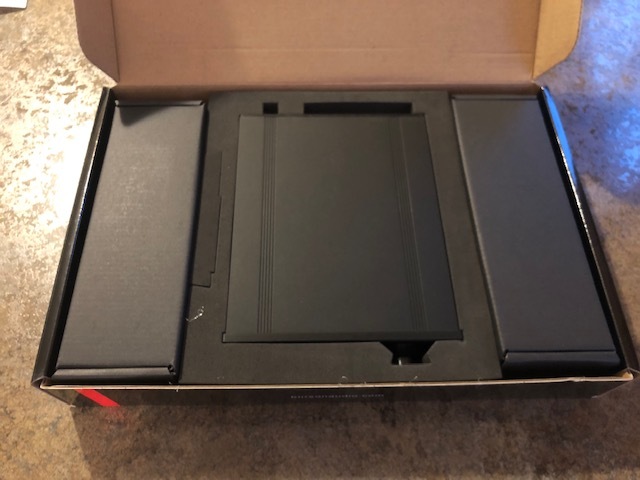 While others may go with flash and pomp and make their products damn near people proof, I was able to tear this amp out of the box immediately upon arrival and get to the glorious piece of gear tucked neatly away inside. 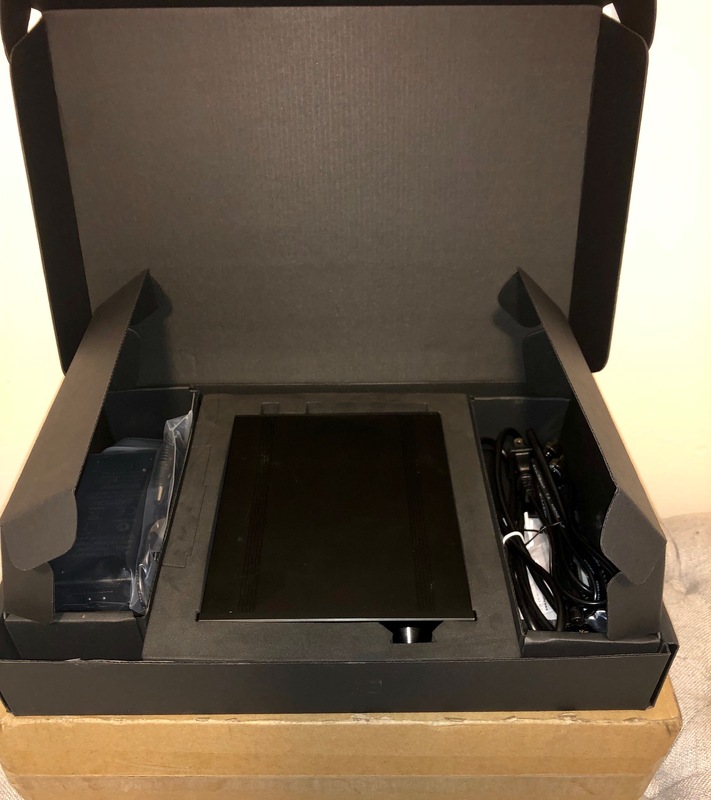 On opening the package I was greeted with everything needed to get started. Inside were the power cord, a couple of RCA cables, and a 1/8th to 1/4th headphone jack, along with the beautifully simplistic, all black aluminum chassis’d amp itself. 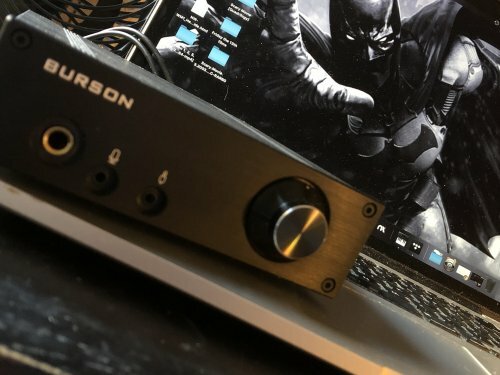 The Burson Audio FUN headphone amp is beautiful and well built with a full aluminum chassis and the usual outs you would expect, the FUN also boasts a mic input and output (both 3.5mm) for those who want to integrate this amp into their gaming setup on their PC. The footprint of the FUN at just over 5 inches makes it ideal for this kind of integration, or for just using as a standalone headphone amp in an area with very little space. It's also very well priced at $299 USD, in my opinion. Especially for the performance you get from this little bundle of FUN. At 2.1 wpc into 32Ohms, you get allllllll the power you'll ever need for just about every headphone you own. You can opt for their V6 (classic/vivid) opamps if you want a bit of a different sound, which will drive the price up a bit, but I can honestly say that as much as I would like to do so, I am REALLY enjoying the FUN in its stock configuration. Now.. On to the sound! Noise Floor - What noise floor? I used the FUN with my Audio-Technica ATH-MSR7, Audeze LCD-XC, and my Flare Audio Flares Gold IEMs, as well as an LB Acoustics MySphere 3.2 and my ears heard no audible noise floor through any of these headphones. It was an utter joy not to listen to or worry about any distracting hum taking me out of my musical bliss. This is due to Burson magic - and by magic I mean their “Max Current Power Supply”, developed in house by Burson to be superior to traditional power supplies and to deliver as clean a maximum current as you can get, instantly taking you into sonic bliss! Highs - I'm always a little leery when testing new equipment. With how sensitive my ears are to hot/harsh/sibilant treble, sometimes new gear isn't the joy I was hoping for. Thankfully, this wasn't the case with the FUN. Highs were well extended, but had a smoothness to them that was pleasing to the ear. There was something about the way the highs were presented that just made the image of the music seem much more defined, to my ears. 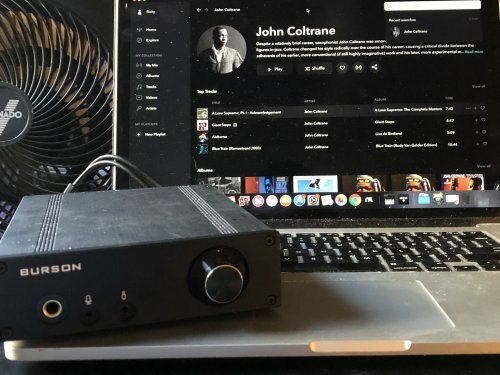 Midrange - The midrange of the FUN felt slightly pushed back to my ears, but not as much as you'd expect from a headphone amp that calls itself the FUN. The vocals of both females and males voices have a certain heft... A weight behind them.. that makes them feel right at home between the slightly colored highs and lows. Bass - This is always my favorite part of the review with me being a bit of a basshead, but since entering this hobby a couple years ago, I've come come to appreciate a more... appropriate.. amount of bass, so to speak. That being said, the FUN definitely has a bass emphasis, and although that emphasis is slight, it definitely contributes towards the enjoyment of the amp. Bass slam is nice and low notes are full and weighted, never overpowering or taking over the entirety of the spectrum with its fullness. The Burson Audio FUN is well worth the price tag its been slapped with, and it more than lives up to its name, being one of the most fun amps I've ever used. It's power and versatility as far as sound signature makes it a great amp that outperforms all others in its price range, in my opinion. With loads upon loads of power to spare, the only thing you'll have to worry about is what DAC you want to pair it with and what headphone you are going to enter into musical bliss with. The Burson Fun came very packaged. There were 3 compartments with the Fun in the middle, the power supply on the left side and the accessories to the right. The Fun is well protected. It takes a little effort to get the Fun out of the foam surrounding. So be careful removing it as you don’t want to damage the foam for future usage. The Fun feels solid in hand. The all-aluminum chassis looks and feel premium. The internals are well laid and uses some quality parts like Vishay resistors and a ALPS volume pot that is very smooth to operate. The volume knob seems to offer nice incremental steps when making volume adjustments. 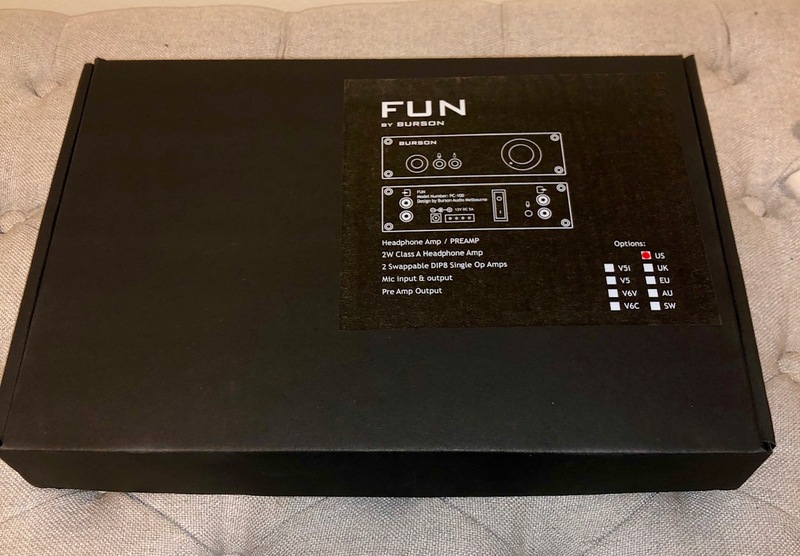 The Fun is a Class-A dual mono design headphone amp and pre-amp. The Fun doesn’t rely on traditional transformers for its power supply but instead uses their own in-house design called the Burson Max Current Power Supply (MCPS). The MCPS is designed to deliver current instantaneously to ensure those dynamic swings are meet on demand. The MCPS is also low noise and efficient. Now on to the good stuff. How does the Fun sound, it one word amazing. I am a big fan of the Burson house sound. It’s big, dynamic, full bodied, has a warm tilt, and is very detailed. The Fun I received has the stock op amps installed and they do a fantastic job at delivering music. I can hear all the details in the songs. Each note has weight to them. I love the sense of power the Fun delivers. I now want to get a listen to the Fun with both the classic and vivid op amps to see if they sound better than the stock ones. This was the first headphone I tested with the Burson Fun. This is a very underrated closed headphone that doesn’t get talked about. The 2000z’s are incredibly detailed and airy. 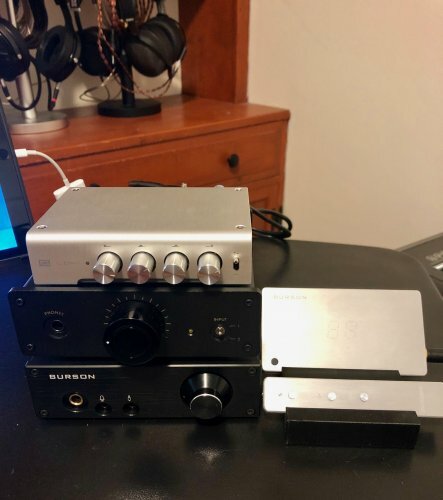 Using the Burson Conductor Air and my DAC going through the Loki and out through the Burson Fun the 2000z’s sound like they were made specifically for this setup. Before the Fun arrived, I thought the bass on 2000z’s I felt could use a bump. That’s not the case when listening to them through the Fun. The bass came alive with the Fun. It was impactful and well defined. Audio-Technica is known for their mid-centric and treble sound. The Burson Fun takes the mids on the 2000z’s and make them more tuneful and lush. Male and female voices sound intimate and forward. The treble detail on the 2000z’s is already very good. Driven by the Burson Fun they are crystal clear. The sound is very balanced and the warmth of the Burson Fun makes this a great combo. These are one of my favorite headphones even today. They seem to do everything right and are one of the most balanced headphones I know about. I have the Focus PadA’s on my HE-500’s. Listening to these through the Burson Fun is a relaxing experience. I simply kicked back and enjoyed the music. The HE-500 needed a little more volume. I had the Fun volume knob set between 10 – 11 o’clock to get the best sound out of the HE-500’s. The bass is quick and deep with excellent decay. The mids of the HE-500 are a perfect match for the Burson Fun. They are creamy and romantic. The treble is well extended with very good clarity. I can’t believe how good the pairing sounds. This the last headphone I tested the Burson Fun with. I wanted to see how the Fun handled higher impedance headphones. I must say I was not disappointed. The DT1990’s are one of the most detailed headphones I own next to the Focal Utopia’s. The DT1990’s is one of the few headphones that I know of that can compete with the HE-500’s in terms of technical prowess. Once again the Burson Fun seems to be a great pairing for the bright highs of the DT1990’s. I for one love the treble on the DT1990’s, I don’t find them sibilant at all. Matched with the Burson Fun the clarity and details of the DT1990’s shine through. The mids come through as very natural sounding. I can hear every detail in the song but with better tone. So the Burson Fun is interjecting a bit of it flavor into the DT1990’s, which is telling me that it’s not a neutral amp. But none-the-less very pleasing. The only amp I compared the Burson Fun to is the Headamp Gilmore Lite Mk2. The GL Mk2 is more transparent than the Fun. It’s gets out of the way and doesn’t add anything to the music. It really just amplifies the signal with tons of technical ability. There’s a crispness to every note. Every note is delivered with speed and transient snap. Bass hits hard and quickly decays. This is really apparent when listening to my Utopia’s. This brings me to the first difference I hear between the two amps. Were as the GL Mk2 is the more technical amp, the Burson Fun is the more musical amp. The Burson Fun is warmer sounding and is more forgiving even though these are both Class A amps. On bad recordings the Burson Fun is much easier to listen too. The GL Mk2 does nothing to make bad recordings more enjoyable to listen to. It delivers music as is. This could be both good and bad depending on your musical preference. The second difference is sense of power. The Burson Fun is the more powerful amp. Going back and forth between the two the Fun adds more weight and body to the music. The Fun is fuller sounding. Switching back to the GL Mk2 it sounds cleaner and adds more depth to the music. The bass is more defined but just as deep. The treble has a touch more clarity and the mids are smoother. Both amps have good extension at both ends. The difference is the GL Mk2 is more 3D and spacious. The difference in sound signatures is apparent. They are both very good amps. The Burson Fun may not be the technical tactician the GL Mk2 is but it isn’t lacking in giving you details either. It’s a very detailed amp but it does color the sound. I can’t say that I hear the v-shape sound signature that some of the other reviewers hear in the Fun. That’s probably because I use the Loki to correct what I think is missing from the sound. The Burson Fun is quickly becoming one of my favorite amps. I like its power, it musical delivery, it’s detailed with good treble clarity. The mids might be slightly recessed but it works well with the rest of the frequency response of the Burson Fun. Last thoughts, if your preference in music is all about transparency, clarity and speed then the GL Mk2 is your amp. But if you’re a fan of music I find the Burson Fun hard to beat at this price point. They are very close in performance to each other. 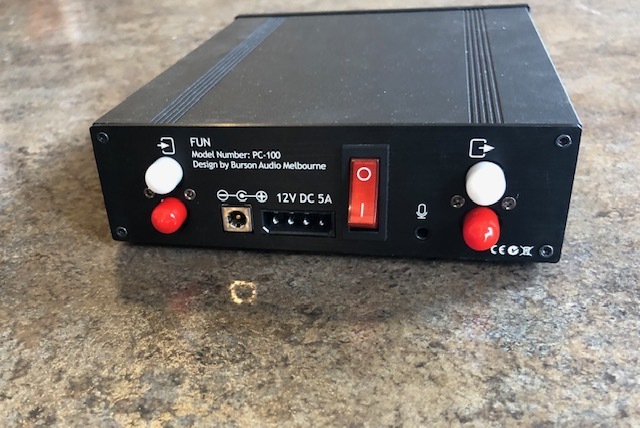 The Burson Fun is $100 - $200 dollar cheaper depending on if you wan the standard op-amp version or if you chose the V6 Vivid or Classic op-amp version. Is the Headamp Gilmore worth the extra cash? That is entirely up to you and your ears. What ever amp you decide to bring home you will enjoy hours upon hours of entertainment regardless of headphone you have plugged in. Happy listening! ACDOAN and volly like this. 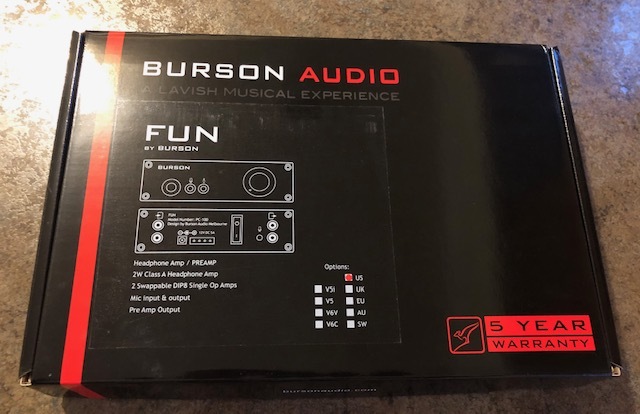 I have several Burson Audio products including the Fun. I am going to get the Swing so I have a Burson stack. Nice product for the money. I have the Conductor Air and had the Conductor V2+. I made a big mistake in selling the V2+. I want it back and will purchase it again soon. The Fun reminds me of the V2+ in a lot of ways minus a slight loose in dynamic punch. I need to try the V6 Vivid op-amps as I have a feeling this will bring the up another level in performance. Burson sent me the Fun for review weeks ago (I apologize for the late review). That said, as always, I'll try my best to provide an honest feedback. I’ve been in this hobby for about 3 years and still feel like I’ve just started with so much to learn and explore. No, I'm not the type that can pick out every little detail, nor am I able to discern between 320kbs, 256kbs, etc. However, I am pretty sensitive to EQ and have developed a preferred sound signature over the years. I tend to gravitate toward audio gear that provides clean sub bass extension (little to no mid bass bump), relatively forward mids, and highs that are on the smoother side. I also appreciate a large soundstage with great imaging capabilities. I do prefer depth (out of your head) over width when it comes to soundstage. *The focus of my review is how the FUN sounds relative to other amps as I find that most useful. *FYI, the FUN worked well with most of my headphones (HD800 SDR, LCD3, HD650), and powered them all with ease. IMO the Fun is Burson's jab/comeback at the increasing number of quality sub $500 gear. With Schiit gaining significant grounds and Massdrop churning out one great collaboration after another, it has never been better for budget headphone lovers to get a good taste at what hifi really sounds like. Add the Fun to the bunch with a bit of added flavor ("Fun") and you basically got the gist of what this amp is all about. At first, coming from the Master 9, EC BW2 and ZDS as my main amps, I was expecting noticeable grain and a lack of transparency/detail. Well, it was noticeable, but to a much lesser degree than expected. I was also immediately struck with the weight behind the notes. The name of the Fun had me expecting some V shape sound signature with hollowed out mids. Yes, the bass and treble emphasis was there but the mids and vocals also have good heft behind them. The slight emphasis in the mid bass does give the FUN a warmish sound. The soundstage isn't particularly wide nor deep. But it does present a believable sound stage, nothing too closed in or walled. No problems here. The FUN does present a more intimate soundstage, giving you the feeling of being closer to the source of the sound. As for power, there's plenty to spare. I had no problem with any of my headphones nor should you! Occasionally the Fun did get hot in the treble on certain tracks and the bass at times did ever so slightly bloom relative to my preference. 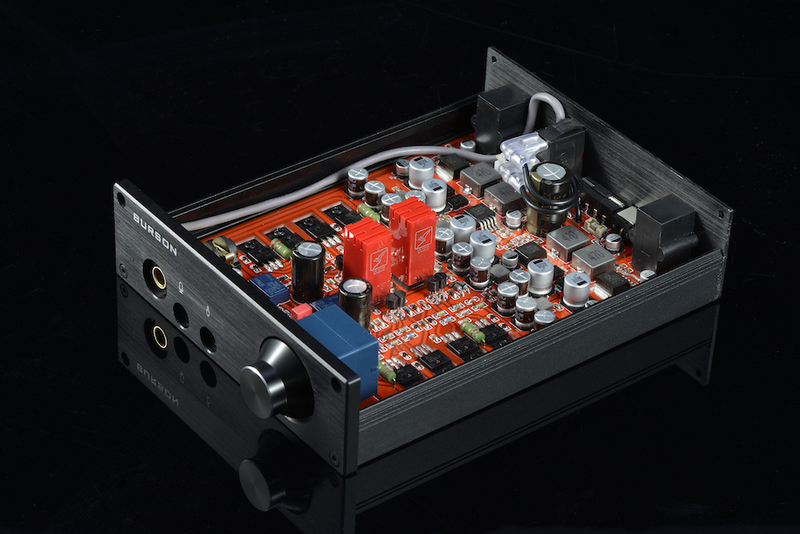 But, if Burson was after a Fun sounding quality affordable amp, they certainly succeeded. With the stock opamp, it wasn't too hard to point out the relative deficiencies of the FUN compared to the higher priced/tier amps. That does change a bit with the Vivid opamps. The Vivid adds extra air and clarity to the FUN. With improvements in those areas the FUN's imaging does improve. You do have to pay an extra $70-100 for the Vivids, but personally I find it makes the FUN that much more convincing among the array of quality low to mid range budget amps despite the additional cost. I'd highly recommend going for the Vivid or perhaps the Classics if you're set on getting the FUN. Both are technically capable in terms of detail and transparency (happy times for sub $500 gear!). The LCX does have that tubish sense of sound in terms of soundstage depth despite being a SS amp. Also, the LXC is the more neutral between the two. Both are similarly priced (the SDAC of the LCX makes up for the extra $79). If you want a more FUN sounding amp that doesn't lack in relative transparency and detail the FUN is for you. If you want an all in one hassle free option and want to get a hint of the Cavalli sound the LCX is for you. 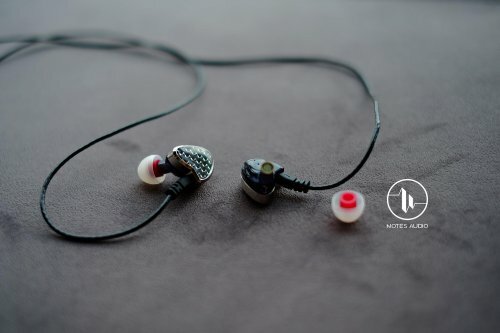 *With the Vivid, the difference in soundstage lessens in terms of size. Both still have their own way of presenting music but sheer size becomes nearly identical. The ZDT excels in transparency, but lacks heft in the lower end. However, I do prefer the relative bloom free bass of the ZDT. The FUN does sound more engaging for tracks calling for more bass. However, the ZDT is overall more netural while being ever so slightly tubish sounding (there's more treble emphasis with the FUN). Between the two, its really comes down to personal preferences. Both are capable (details, mids) amps that are fairly similarly priced ($300 vs $400). Also, both do have the potential extra cost of tube or opamp rolling. Perhaps the biggest downside of the ZDT is it's accessibility and issue with hum on many of the units (supposedly Massdrop is in the works for a fix). *Even with the Vivid, the soundstage is still larger and convincing (sounding real) with the ZDT. FYI, the FUN is no slouch. Ok, from here the price difference becomes quite big. That said I'll compare the two to give a relative idea on how the FUN sounds/spars against amps in this tier. Both are unabashedly powerful and is also where the similarity ends. The Master 9 has a noticeably wider soundstage. The sound is more laid back and neutral with the Master 9. Also the Master 9 is more organic sounding. I hate to use that term, but "organic,” “effortless” and "warm" are terms I would associate with the Master 9 relative to the FUN. The FUN is clearly the more exciting in your face type of amp. As for detail and transparency, you do have to struggle a bit to find the Master 9 eventually stumble out on top even with the Vivid. The BW2 is also a somewhat colored amp. Both quite have some meat behind the mids and to a lesser degree the bass. However, the clear difference is in the highs. The highs are shy of neutral with the BW2 leaning towards smoother treble. In contrast the FUN does better with hi-hats, cymbals etc. There's a better sense of "clash" and a natural decay with the FUN. However, overall I side with the BW2 (less so with the Vivid) for its somewhat holographic soundstage (surprising deep for a SS amp) and detail. Despite the overall warmness and relatively shelved highs the BW2 just edges out in detail as well. With the Vivid opamp in the FUN the gap does narrow. The price difference now makes the FUN a lot more attractive. *Like the ZDT the BW2 is far less accessible than the FUN. Yes, this isn't a fair match up. The ZDS excels in detail, imaging, soundstage size. But is it worth x8 the Fun? That'll depend on your priorities and willingness to spend the extra money to achieve "better" sound. If on a budget, you wouldn't miss out too much with the FUN. Perhaps you do miss out on a few scuffs in the background, coughs in the audience, better sense of space/air, and noticeably better imaging capabilities. Ok, maybe that's more than just a few, but I hope you get the idea. With so many great low to mid range budget options out there, the introduction of the FUN certainly doesn't make it any easier to choose one. 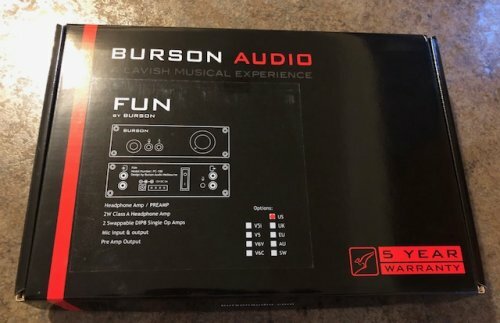 But if you don't mind a bit of flavor/FUN, while still being technically capable, the Burson Fun should be up there in your list of must try amps.